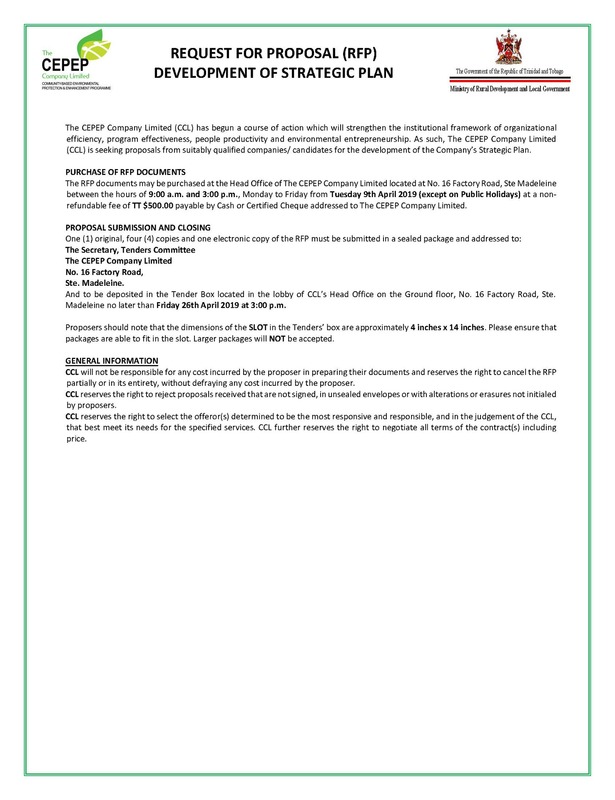 The CEPEP Company Limited, an Agency of the Ministry of Rural Development and Local Government, is one of the main pillars in the National strategy for development of the Green Economy of Trinidad and Tobago. It is responsible for managing the Community-Based Environmental Protection and Enhancement Programme (CEPEP). 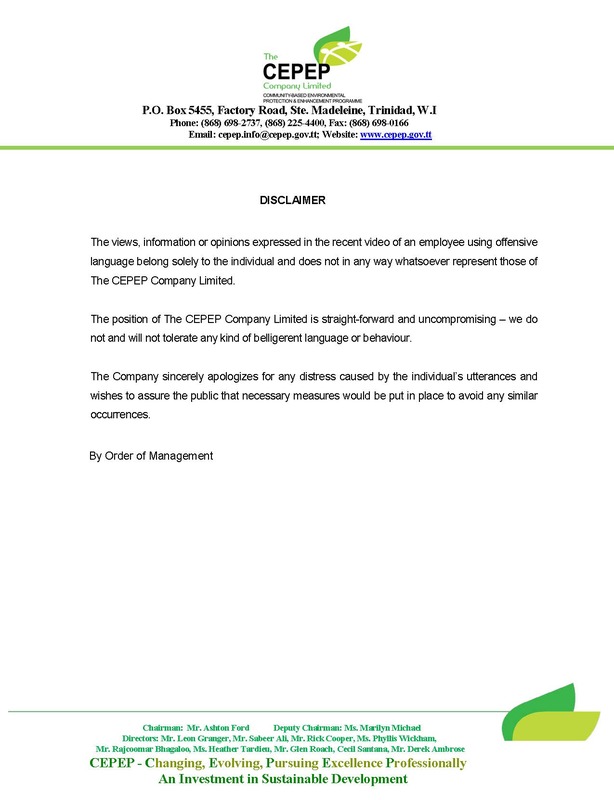 The CEPEP Company Limited response to the video being circulated on social media platforms. 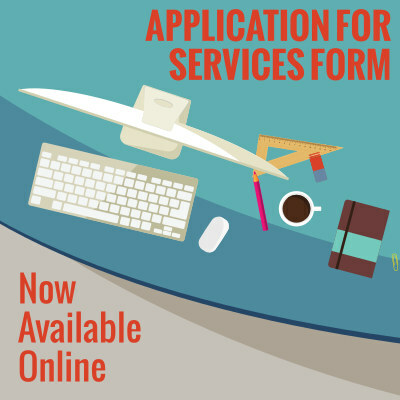 Use our new online form to Apply for Services from CEPEP. 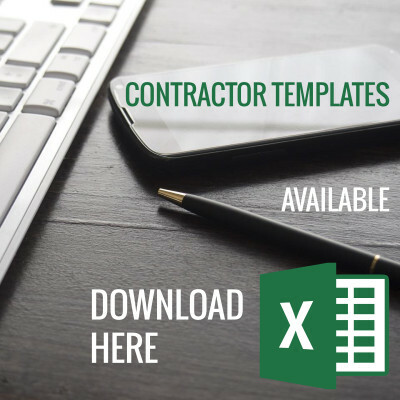 Contractors can download invoice templates, the standard forms template and the personal data form here. Want to find a Cleanup Crew working near you? 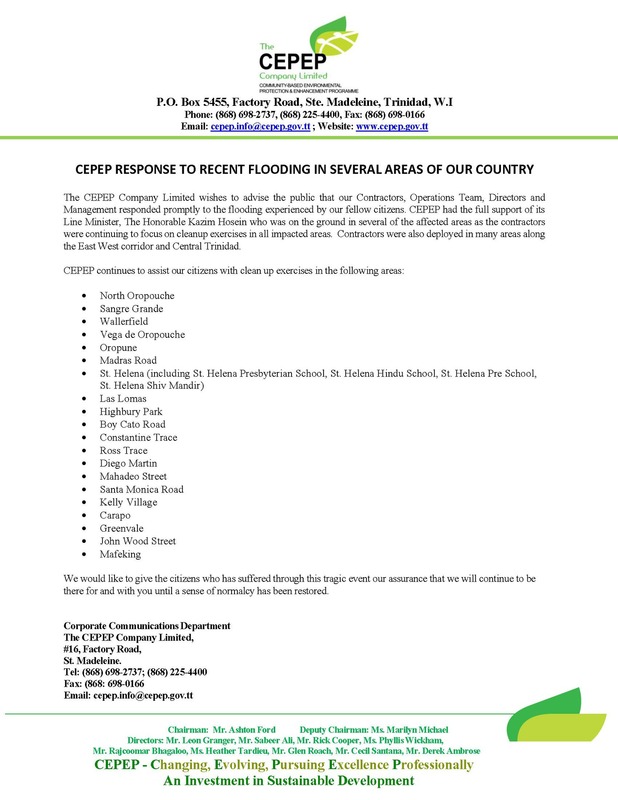 We wish to express our sincere thanks to you for your prompt and positive response to our request for assistance with the cleaning of Achong Park, off Achong Trace, Balthazar Street, Tunapuna and the cleaning of the Government Reverse between St. Mary’s Anglican Church and the Parish Hall, and the Caura/Tacarigua River between Eastern Main Road and P.B.R. (behind St. Mary’s Anglican Church and the Parish Hall), Eastern Main Road, Tacarigua. Once again we greatly applaud and appreciate your efforts in always assisting our constituency as we look forward to working again with you in the future. Vision on Mission Board of Directors, Executive President, Staff and Clients would like to take this opportunity to extend heartfelt gratitude for your attendance and participation at the Launch of VOM’s 2018 Preparation for Release Programme- titled: “Changing the Criminal Thinking!” on Tuesday 20th February 2018. Your presence was highly appreciated and your dignified manner and decorum you graced us with. As a result we wish to affirm how tremendously blessed we were to have you there with us. We look forward to the pursuit of cordial relations with you in the future, and as such a relationship can be forged to our mutual benefit. We continue to pray God’s richest blessings upon you! 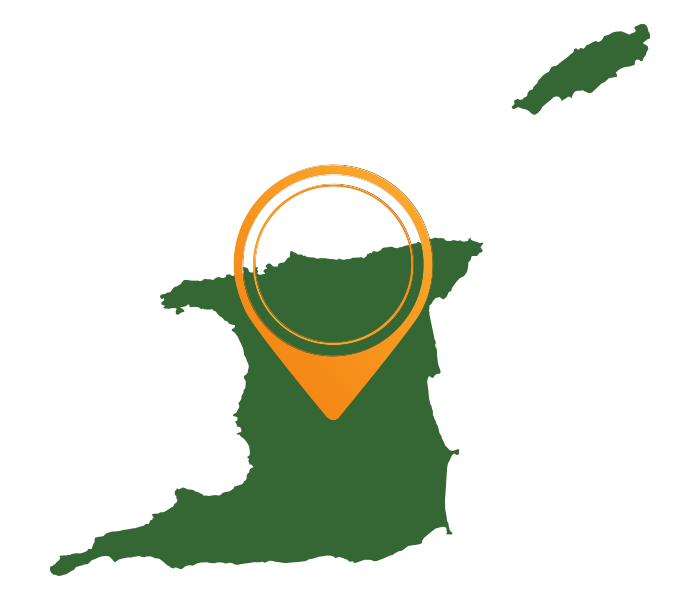 I am writing… to thank your company for the great work your company has done in the past in cutting the grass around the vicinity of the St. Paul's Spiritual Baptist Church, Cap-De-Ville, Point Fortin… This work was greatly appreciated. Thank you very much for sending your crew of workers to clean our compound on the following days: October 25, 26 & 27, 2017. Your employees performed their task with enthusiasm and conducted themselves in a highly professional manner. Our grounds were thoroughly cleaned and debris was properly disposed of in garbage bags. At all times, you and your employees have our best wishes. On behalf of the Trinidad and Tobago Police Service Victim and Witness Support Unit team, I would like to extend a heartfelt thank you to you for your presentation at our community initiative hosted on Friday, 27th October 2017, entitled: “Confronting FEAR: Managing Life After a Violent Crime: Keeping Me Safe” Your presentation was engaging and enlightening to all participants/stakeholders in attendance. We appreciate you taking the time to share your professional knowledge on the services offered by your agency. Let's continue to join arms in the fight against crime and providing professional support services to the victims/witnesses affected by the scourge of criminal activities. I hereby express our heartfelt gratitude to you for having the surroundings of the Chatham Community Centre cleaned in readiness for our Fund-Raising Venture. I wish to express deepest appreciation for the tremendous assistance rendered for the upkeep and maintenance of the compound and environs of our place of worship. Thank you for your assistance with respect to the “Team Up, To Clean Up” campaign. We look forward to your continued support. The residents of the community wish to thank you for your prompt response in having the referred area cut… we look forward to continued partnership. Thanks for your support towards the “Children Christmas Treat 2016“. This enabled us to provide over 450 children with a Christmas gift and treat bag, together with bouncy castle, face painting, food, drinks and other Christmas activities.